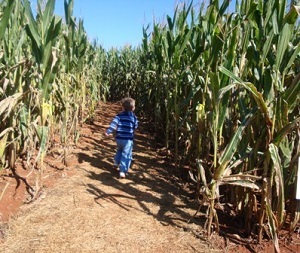 Looking for a local corn maze or hayride in New Brunswick, Canada? Scroll down this page and you will see the all of thoses in New Brunswick, Canada, sorted by county. Some are huge corn mazes with hayrides, pumpkins, corn cannons, inflatables and others are simple corn mazes with little else. Most also have loads of pumpkins to choose from. To really make it fun for your kids, look for those that have the extra activities, like a corn cannon, cow train, inflatables, farm animals, pumpkin patch or zip lines. There is usually a small fee for the mazes (of course, the more elaborate mazes tend to charge more. Hayrides are often free. ALWAYS call before you go to confirm the info, they don't always report changes to me! Strawberry season in New Brunswick normally is in high gear by the Canada Day weekend. But for most growers and pickers, it only lasts two or three weeks. I'm always looking for suggestions of more farms and events to add and feedback about any you have visited, so if you encounter any, just click on the preceding link, as appropriate! And if you have a farm and want to add it or correct the information, please let me know!